Earlier, a report surfaced relating to leaked information of a new DuraForce smartphone that Kyocera is preparing. 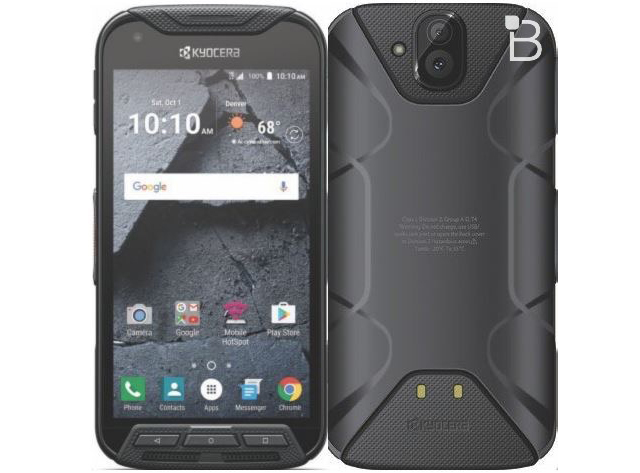 Based on the leak, this new smartphone called the Kyocera DuraForce Pro; is set to hit T-Mobile’s shelves before the year ends. And just like other DuraForce models before it, this new smartphone will showcase its characteristic industrial, rugged design. One thing that makes the DuraForce Pro stand from the competition, however, is the addition of the dual-camera on its build. As a rugged smartphone, the DuraForce Pro will be equipped with resistance to water, dust, drops, thermal shock, salt, humidity, and solar radiation. The leak also shows that the DuraForce Pro will be supported by a military standard 810G certificate and an IP68 rating. Judging on the photos released on the link, the DuraForce Pro will be equipped with some improvements particularly on its camera. This is particularly evident in the dual-camera setup that will be included on the phone. The source of the leak shares that the rear-facing cameras on the device were crafted to perform for underwater photography. With its dual-camera feature, it will be able to capture wide-angle photos and videos. There is reason to believe that one of these cameras will sport a 13-megapixel sensor. The front-facing camera, meanwhile, will be equipped with a 5-megapixel sensor. The leak also points to a 3,420 mAh battery along with a fingerprint sensor, which isn’t really visible on the leaked image. A more telling evidence shows that the DuraForce Pro will have a UI quite similar to stock Android. According to the leak, the DuraForce Pro could be arriving in the last quarter of the year (sometime between October – December); and will be available through T-Mobile. Pricing, as of this moment, is unofficial. But judging on the previous DuraForce XD phone T-Mobile offered last November, the going price upon launch was $449.99 off-contract with a $0 down option for a 24-month plan worth $18.75 each month. More information about this smartphone will be released as soon as it is official. If only the internals were as good as the externals. I agree. Guess we will have to wait for more information.